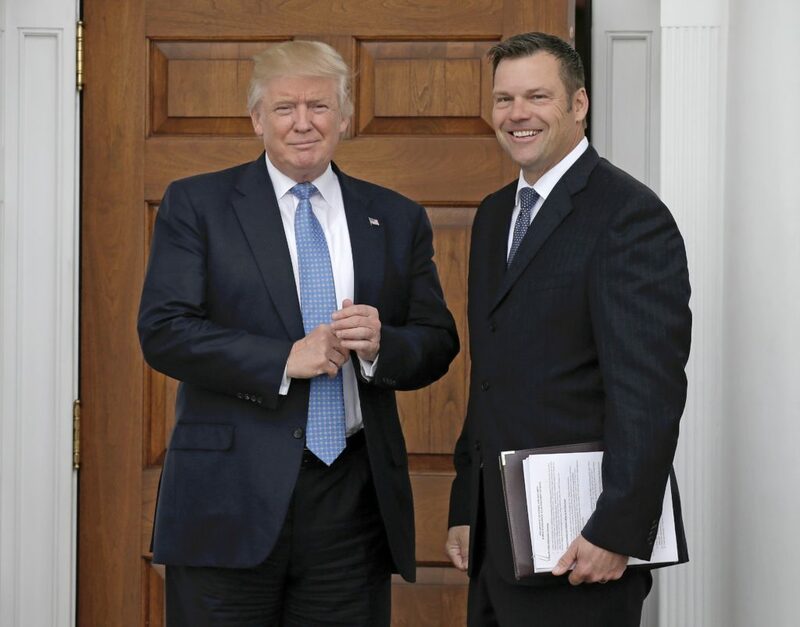 As voting rights advocates had long suspected, a document Kansas Secretary of State Kris Kobach was photographed holding while meeting then President-elect Donald Trump included a proposal to weaken the National Voter Registration Act, which has been an obstacle in Kobach’s quest to implement a proof-of-citizenship requirement for registering to vote. The document became public Thursday as part of an ACLU lawsuit against Kobach challenging the proof-of-citizenship requirement he’s tried to implement in Kansas. Kobach was photographed holding the document — a broader plan for the Department of Homeland Security — in November, but only the first half of the proposal could be made out. “Draft Amendments to National Voter Registration Act to promote proof-of-citizenship requirements,” the unsealed document says, under a section titled “Stop Aliens From Voting.” The rest of the document remains largely redacted. The National Voter Registration Act — also known as the Motor Voter Law — is a 1993 law that sought to streamline the registration process at government agencies, including at the DMV. It stipulates that Americans seeking driver’s licenses can use the same documents and process to also register to vote, with state officials mandated only to require “the minimum amount” of additional information to prevent duplicate and ineligible registrations. A separate document made public in the ACLU litigation goes into more detail about Kobach’s ideas for the NVRA. The proposal, reportedly a memo he sent to Kansas’ head of elections, appears to give states wide discretion over the documents they can require of voters to register. Since the photograph, Kobach has been named the vice chair of a voter fraud commission Trump created after falsely claiming that millions of people voted illegally in the 2016 election.